Hillary Clinton offered a sweeping defense of her record as secretary of state Wednesday, highlighting her work to bring Iran into nuclear negotiations and touting her efforts to maintain a “rock solid” relationship with Israel. 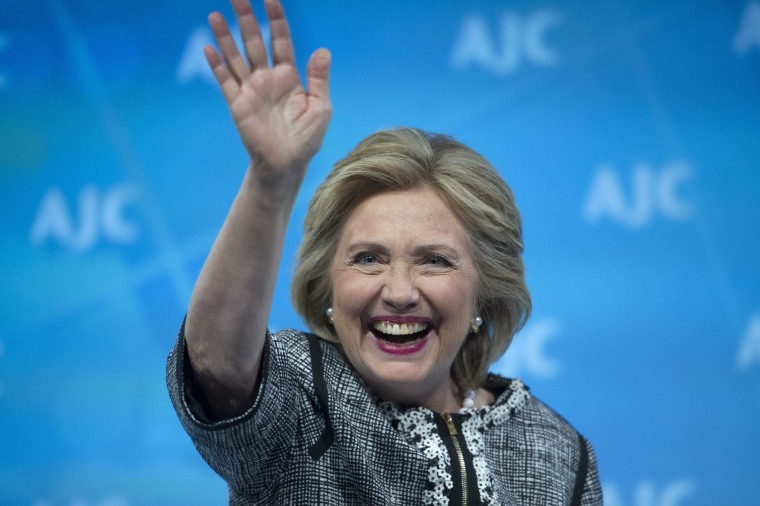 Speaking at a meeting of the American Jewish Committee, Clinton described her post’s most difficult “hard choices” (also the title of her forthcoming book) while acknowledging that some – like ongoing negotiations with Iran and six other world powers to secure a lasting nuclear accord – still have uncertain outcomes under her successor John Kerry. If that diplomatic effort fails, she added, “every option does remain on the table." Clinton, who has not yet announced a run for the presidency in 2016, told the Jewish organization that she has participated in “endless” negotiations in the effort to achieve a lasting peace between Israel and Palestine. “It was always, for me, an important part not just of my responsibility but my privilege to be a friend of Israel,” she said. NBC's Vaughn Hillyard contributed to this report.